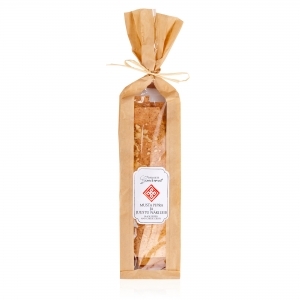 Crisp breads with black pepper and aged cheese, hearty! Suits well to be enjoyed with cold beer and any green salad or just as a snack by itself. 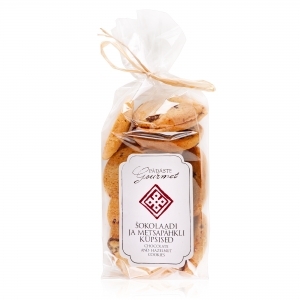 Delicious crispy bread thins with hazelnuts and raisins. Try with a spread of butter and a pinch of sea salt. 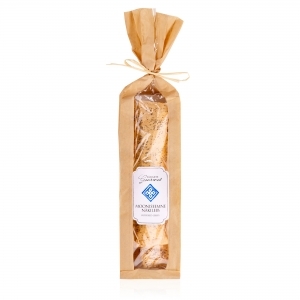 Crispy bread with rich poppy seed cover, good choice to serve as snack with cheese and wine. Hot snack from heaven! 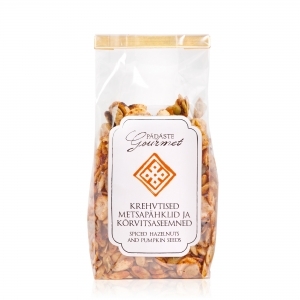 Hazelnut and pumpkin seeds roasted with spices. 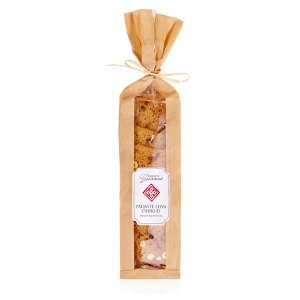 Golden honey from the meadows on Muhu Island, richly filled with cranberries and whole hazelnuts. Great to enjoy on its own and a healthy sweetener in your daily cup of tea. 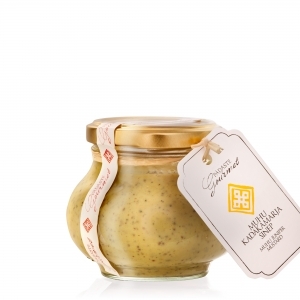 Mild mustard with delicate juniper palate. Fine with oven roasts and in salad dressings. 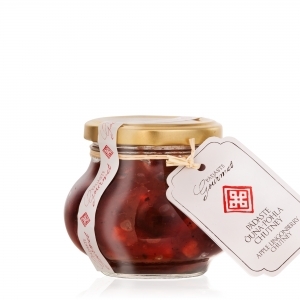 Delicious apple-lingonberry chutney. 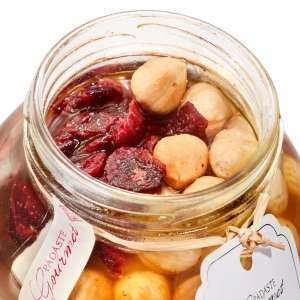 Tastes wonderful served with cheese as well as with an oven roast or roasted poultry. 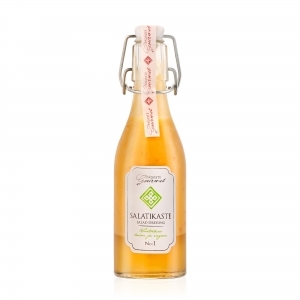 Golden yellow salad dressing with a hint of ginger goes well with green salads, also in marinades for poultry and fish. 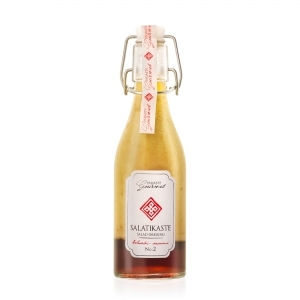 Mild salad dressing with an oriental hint, fits great with any green salad. Nice tang! 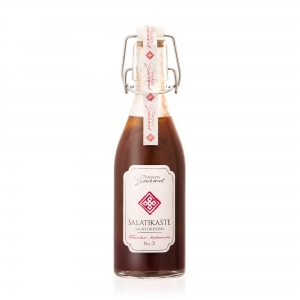 Salad dressing with a refined acidity and subtle freshness of raspberry, goes well with green salads but also with bitter noted leaves like radicchio.